Day 122. The organization my documentary is about has many mantras. 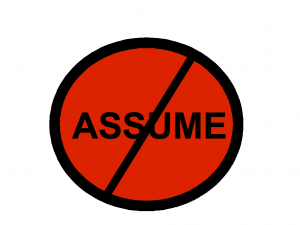 The one that seemed to resonate with me the most today was, “Assume nothing.” I got a big lesson in this earlier. Even if you think you’re on the same page as someone else, you shouldn’t assume that you are if you haven’t clearly communicated what your assumptions are from the get go because the reality is you don’t know what they’re assuming unless they’ve told you. You’re brain is busy making your own assumptions on the perceived information you’re receiving from them and the other person’s brain is busy making their own assumptions, which are based on their analysis of the information they think they’re receiving from you. Number 41: Communicate in clear, focused language. 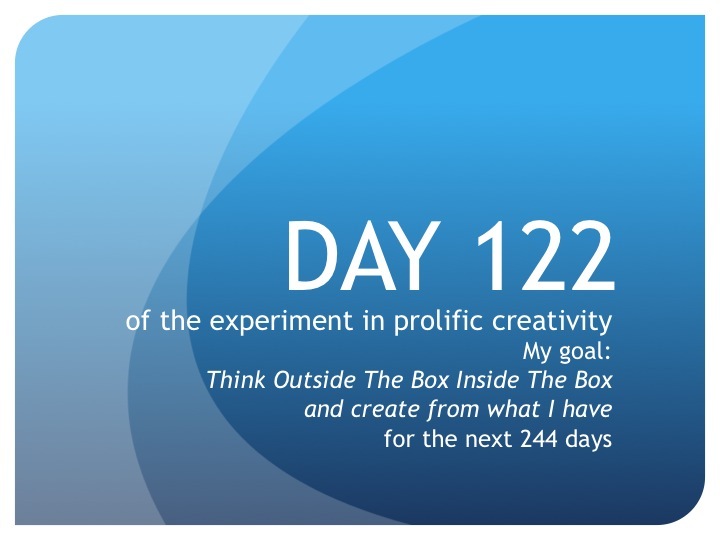 Until tomorrow, create from what you have…and assume nothing.